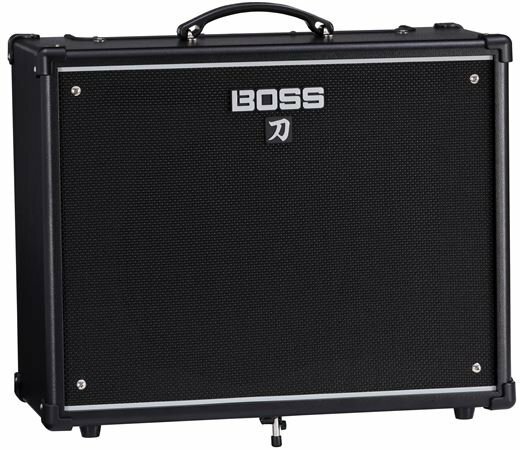 Shop BOSS Katana KTN100 Guitar Amplifier from AMS with 0% Interest Payment Plans and Free Shipping. 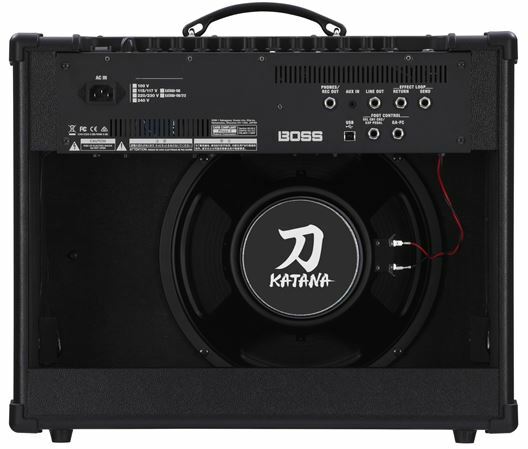 With crafted tones, the Katana 100 is an inspiring rock amp born of Waza DNA. The Katana series presents guitar amplifiers with smooth, cutting tones honed by generations of dedication and expertise. Katana—the traditional sword carried by the historic samurai of Japan—is a symbol of honor, precision, and artistry in Japanese culture which is why these amps carry the majestic sword’s name with pride. Each day, I love and treasure this amp even more! 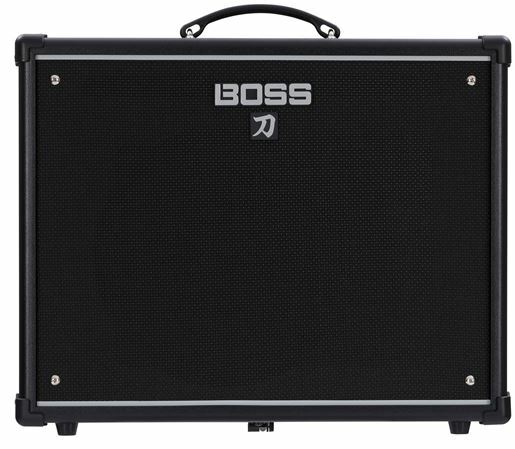 I am sooo glad I bought this Boss Katana KTN100 amp! I’ve only been playing guitar for 54 years, so far, and have owned and operated my recording studio business for 39 years, as not only a guitar player, but a composer/musician (who plays at least 16 instruments)/songwriter/recording engineer/producer of countless advertising jingles and records, etc. I listen to, and study music of all kinds, from all around the world, and write, perform, record and produce a very broad range of styles and genres of music, featuring nylon string classical, and steel string acoustic, and a wide range of electric guitars and sounds, from clean to gritty, vintage to new, fingerpicking acoustic, to avant-garde to traditional jazz, to rock to punk to reggae to juju to Latin to zook, and all points and blends in between, and beyond. I can say that I have put this amp through its paces, and it authentically and easily handles anything I can throw at it, better than any other amp I have ever worked with! The Boss Katana is everything as advertised! I have used all the settings and they sound great. I even played at the 100 watt setting on a gig with a drummer keys bass and vocals against my Katana. Got compliments all night long on my sound! Had this amp about a month. First thing I want to say is this amp is extremely loud. If your looking for and amp to gig with this is it. The five channels are great and are easy to taylor the channel for your own sound preference. The amp has a bright sound, more treble sound because it is a open back cab. It's easy to adjust to get a Marshall or orange tube amp sounds. The good part you can get the sounds you need with out getting a second mortgage on your house. Haven't tried any of the downloadable software yet. I prefer to get use to the amp first. This amp does it all. Just buy this Beast, you won't be sorry. This is a great little amp. I wanted something solid state, with effects built in, and that sounded good. I found all these things in the Katana. This is by far one of the most versatile and best sounding solid state guitar amplifier that I've owned. It sounds as warm as a tube amp and reacts like one. It is well worth the money. I played my acoustic, jazz, nylon string and solid body electric guitars and all sounded great. 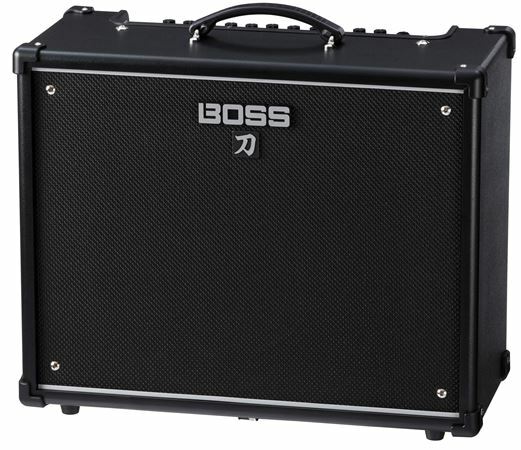 I highly recommend this amp as your main gig amp and back up amp. That great boss quality we all know and love! For the price you can’t beat the boss katana. This is a solidstate amp with tube amp sound and feel. the effects are modeled perfectly after boss pedals if you ask me. I hope to be able to get the boss katana Waza craft and a cab next. It’s what I had hoped it would be. This is a great little amp with a big quality sound. Great and versatile, especially for the price.